Space Planning Conceptual restaurant layout and interior design of an existing space or new a facility to determine traffic flow and sizing of dry storage, walk-in coolers and freezers, prep area, cooking lines, dish-up and serving areas, pot, pan and dishwashing, bar and restroom locations, bar and dining room seating suggestions. Preliminary Layout Developing the conceptual design (Space Planning) to further define equipment positioning, sizes, quantities and custom fabrication requirements. At this stage the Preliminary Layout is approved by the restaurant owner prior to finalizing. Final Equipment Plan Itemized restaurant equipment along with an equipment schedule identifying each piece of equipment, quantity, description and any remarks about the restaurant equipment. Plumbing, Electrical and Exhaust Rough-in Plans Necessary for contractors to provide proper services, these plans include rough-in information, location in floor, ceiling or walls. These plans are fully dimensioned and indicate specific details or notes. Once the kitchen and/or bar equipment arrives on site, it is extremely important to have the proper services roughed in to ensure smooth installation and equipment operation. Elevations and Details Elevations and Details will give an operator an idea of what the equipment lineup will look like from a frontal view. Details and sections will show a closer look at how custom fabrication items will be built. Equipment Cut Sheets Health departments require a cut sheet booklet be submitted with the plans. This booklet identifies all equipment in the kitchen and bar as well as indicates manufacturer and model number, utility requirements and N.S.F. listing. Written Equipment Specifications (for DIV. 11400) On all projects that require a bid, we prepare an itemized written equipment specification for each item identified on the equipment plan. This ensures all bidders are bidding on a level playing field. Any alternates are approved by both the owner and R.L. Mather. Project Coordination We make sure all aspects of the project run smoothly. The coordination helps all contractors follow plans accordingly. 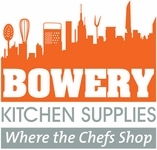 Email us at bowerykitchen@mac.com for more info.